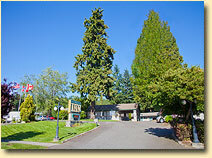 Welcome to Poulsbo Inn & Suites - Relaxing and refreshing lodging on the Kitsap Peninsula of Washington. The Town of Poulsbo is nestled in a valley between majestic Olympic and Cascade Mountain ranges on the Kitsap Peninsula. Located on Liberty Bay, Poulsbo is one of the main suburbs to Seattle in the Kitsap Peninsula area. 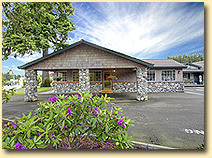 This authentic Norwegian community is home to the Poulsbo Inn & Suites, the perfect "home-away-from-home". The Inn offers a variety of rate plans and options to suit just about any need from weekend getaways to business travel or extended vacations. A leisurely stroll down Front Street, Poulsbo's main street, will find you surrounded by quaintly decorated storefronts and well-kept parks. From the delicious smell of freshly baked goods, to the fishing boats awaiting their next outing, you will find a refreshing and relaxing mood abounds. Your source for Kitsap Peninsula Information.